Please see individual varieties for specific product information, but in general the growing information will be the same for all chard. The majority of the information on this page was provided by the University of Arkansas Cooperative Extension Service Chard Home Gardening Series; download the complete pdf file with FAQ’s for more information or click here to visit the website. Distance Between Rows: 1-2 feet apart. When To Plant: Plant chard early. Seeds can be planted before the final frost or wait until after the hard frosts are over to plant young plants. 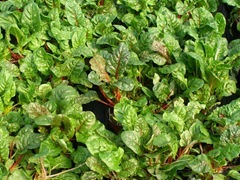 Planting Tip: Chard is a member of the beet family and will grow just fine in any soil where lettuce and spinach grow. Chard is very forgiving and can take a lot of abuse and neglect however, the more consistent the water the better the flavor. Composts and manures are adequate fertilizers for chard. Average Yield: About 2-5 pounds per 10 foot row (a 4-6 foot row will be more than enough for an average family). 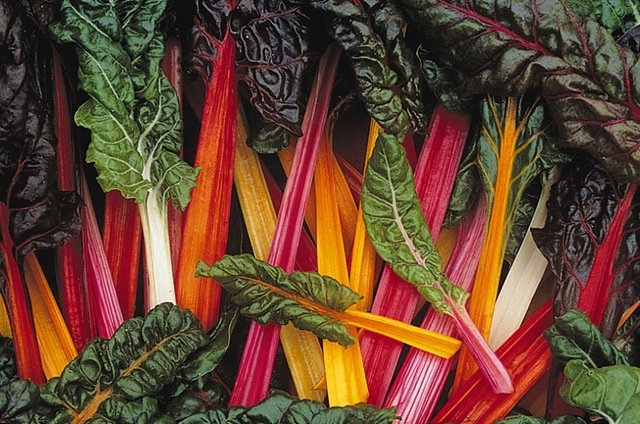 Preparation and Care: Chard is an easy crop. It will succeed in poor soil conditions and responds well to simple compost or manure. Plant seeds a couple of weeks before the last threat of a killing frost and young plants after. When planting from seed, you will need to thin the seedlings to 4-6 inches apart and later 9-12 inches. Keep watered but not wet. Fertilize: Manure and compost work well. Harvesting: When the leaves are about 8-12 inches, cut them off 1 1/2 inches above the ground. The larger the leaf the more bitter and tough. Be careful not to damage the developing leaves in the center. If the chard becomes too bitter in the summer months, don’t toss the plants, just wait until cooler weather and they will become tasty once again. If you keep the plants protected from frost, you could be harvesting chard well into the winter months. 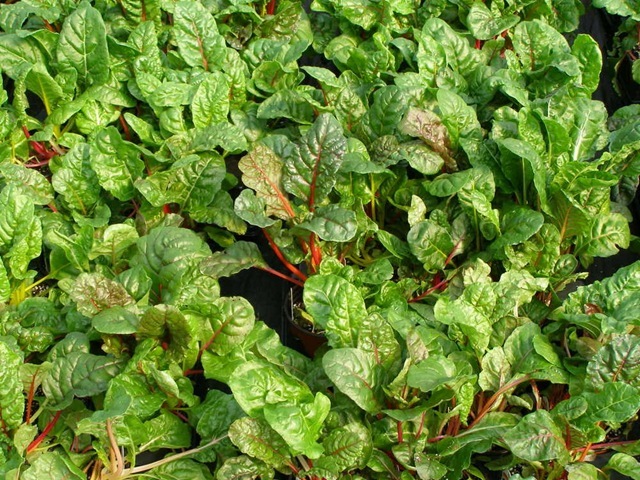 Culture Problems: Chard is a pretty hardy plant and has very few growing issues. Common Insect Problems: Few if any insects will bother chard. You may occasionally have a problem with aphids or some other chewing or sucking bug, but just remove the damaged and infested leaves and keep an eye out for further problems. Always wash the leaves well before consuming. 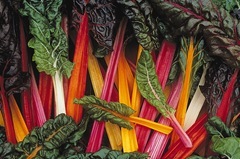 Common Disease Problems: Chard is resistant to most plant diseases and will provide good eating all season long.